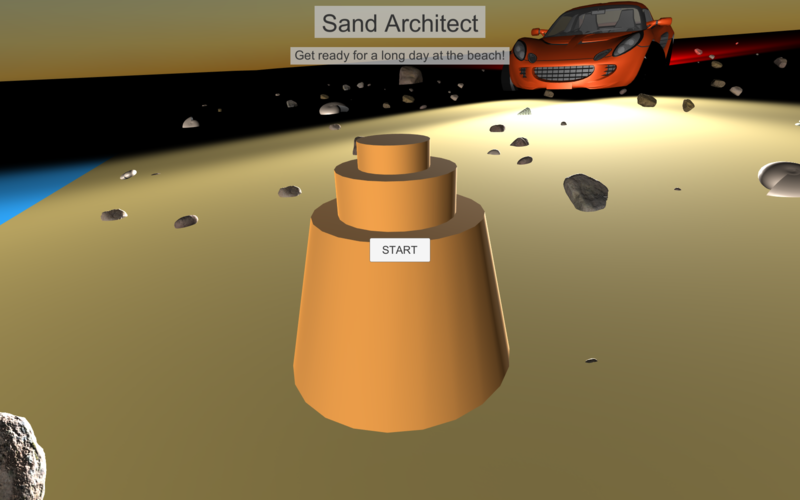 Visit the official Sand Architect site at https://cvprogramming.tk/sandarchitect.html. Get ready for a long day at the beach! Have you ever gone to the beach and decided to build a sand castle at the water's edge? Then, to your disappointment, the tide rises, putting your castle at the mercy of the waves? That's the inspiration behind this simple game! After going to the beach and trying to use rocks and sand to create barriers to stop the waves, I thought about how cool of a game that would make. Now, 24 hours later, I have fully developed a basic game! The concept is simple, don't let your castle's health hit 0. You have a handful of sand creations to accomplish this task. These creations include collectors, barriers, and even things like trading posts and an automatic repair mechanism! Of course, these things couldn't have been accomplished in real life, but I did want to give it a 'video game fantasy' touch to make it more fun.